Already seen Episode 8? Read on at the bottom for spoilers. After the event’s of last week’s episode effectively resetting the dramatic arcs of our characters, we can enter a new phase of the Hannibal story – one that actually isn’t about him. As we move into the second half of the season, the focus shifts from the cannibal to the Great Red Dragon. For those who have read the books and seen the films, we are likely to begin treading at least vaguely familiar territory in the coming weeks, with the rest of the season devoted to the Red Dragon story arc of Francis Dolarhyde), but for the uninitiated, we are in for a new treat. 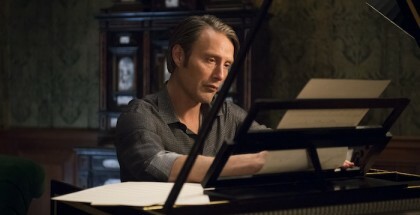 This episode takes place roughly three years after the events at Muskrat Farm, with Mason defeated, Margot seemingly out of the picture – presumably off raising the Verger baby she managed to find a proper surrogate for – and Will and Hannibal having gone their separate ways (one into a padded and rather cushy cell, the other into the quiet life in his rather canine-heavy non-bachelor’s pad. But, naturally, the ghosts of crime scenes past are hard to shake and it isn’t long before Jack Crawford is back knocking at his door in pursuit of a killer better known to the operatives as the Tooth Fairy. This episode takes us back to the early days of the show, with Will using his emphatic ability to unpick one of the Tooth Fairy’s crime scenes and start to get a handle on the kind of man they are dealing with. 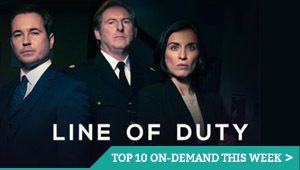 For fans of the first season’s murder-of-the-week format, this is welcome, with the return of some of the old faces from those early days (we still miss you, Beverly) teasing out the clues left behind by our new friendly neighbourhood mass murderer. Meanwhile, Alana and Chilton debate the Tooth Fairy from the comfy leather chairs of academics and consider the potential effect that a new media challenger will have on Hannibal. They refer to the new killer as the Young Turk, likely to rile up Hannibal into doing something drastic to draw attention back to him. How he can do that from the confines of his cell? 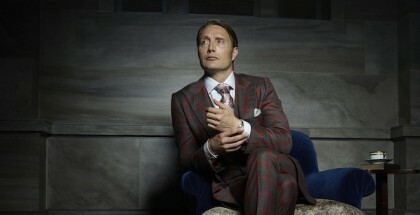 Well, this is Hannibal we’re dealing with. 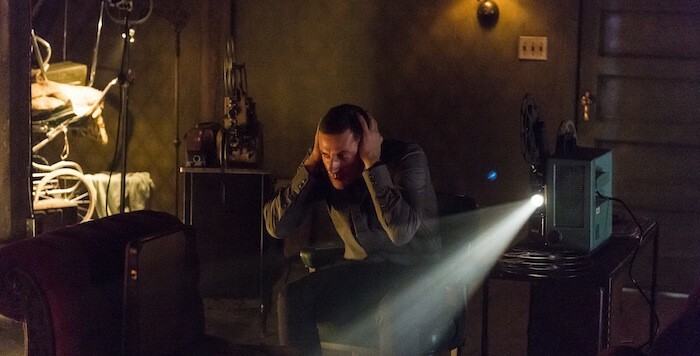 But of course, this isn’t about him – this is the eagerly awaited debut of Richard Armitage as Francis Dolarhyde. A deranged serial killer with a William Blake obsession, the physique of a bodybuilder yet the mind of a damaged and dangerous child? Certainly quite a change from playing a dwarf. But in his first few moments as the Tooth Fairy, Armitage establishes himself in the hugely physical but almost entirely mental role, uttering not a single word but managing to drip the very best kind of menace into every glance. 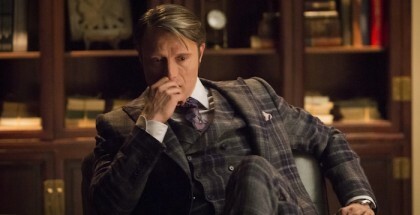 Hannibal Season 3 is available on Netflix UK, as part of £7.99 monthly subscription. – Does the reference to a certain redhead at a certain crime scene hint at the return of Freddy Loundes? Considering that what is set to happen to her when she crosses paths with the Tooth Fairy has already been directly referenced in previous seasons, it should be interesting to see how this translates into the new treatment. How closely is this version of the story set to follow the source material, if at all? – We’re getting very fond of Alana’s penchant for fierce trouser suits – if she and Chilton replace Will and Hannibal for fireside therapy sessions, we won’t be complaining. 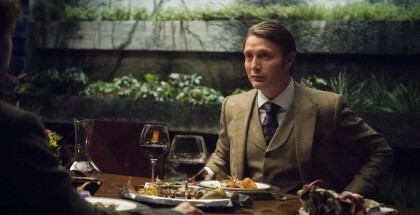 – It’s nice that Hannibal’s cushy new prison allows him to continue to serve up such beautiful-looking meals and troll his dinner guests with the insinuations of what he’s made them eat previously.